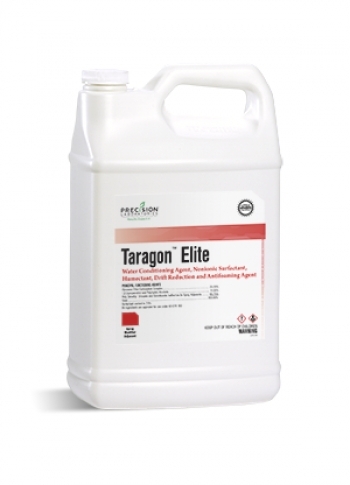 TARAGON™ ELITE is a convenient premix of drift reduction technology and water conditioning agents that protects the performance potential of dicamba-based products or tank mixes from antagonistic metal ions found in hard water and leaf tissue while further reducing drift risk. TARAGON ELITE is recognized as an approved DRA for most dicamba-based herbicides. Check manufacturer labels and websites for confirmation.